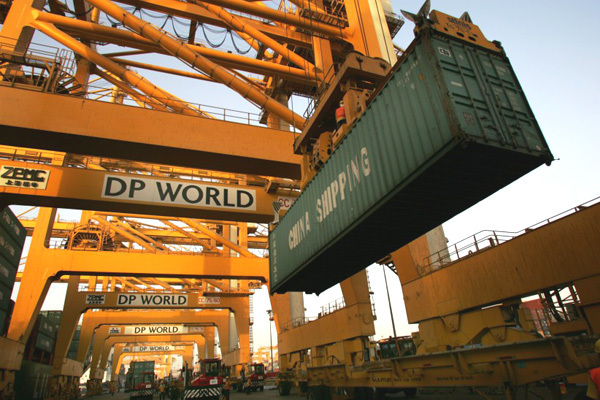 Dubai-based global marine terminal operator DP World has successfully acquired 100 per cent of the Unifeeder Group, an integrated logistics company with connectivity to approximately 100 ports in Northern Europe. Unifeeder operates the largest and most densely connected common user container feeder and an important and growing shortsea network in Europe, serving both deep-sea container hubs and the intra-Europe container freight market, said a statement from DP World. The transaction valued at €660 million ($748.21 million) will enhance DP World’s presence in the global supply chain and broaden its services to customers – both shipping lines and cargo owners – with a view to ultimately reduce inefficiencies and improve the competitiveness of global trade, it said. Unifeeder’s current operations, which offer a unique platform for independent logistics solutions, are complementary to DP World’s existing business and offer future growth opportunities, it added. “With Unifeeder, we are acquiring a leading port related logistics solutions provider in Europe as part of our strategy to grow in complementary sectors. This transaction is very relevant to our business and provides future growth opportunities, especially that feedering and shortsea/regional transports with smaller vessels have become more important for shipping lines with the use of larger vessels by shipping alliances,” he said. “Our core business is and will continue to be the container terminal, but this acquisition fits with our strategy to diversify our revenues and extend our core business to play a wider role in the global supply chain and connect directly with cargo owners and aggregators of demand, ultimately improving the quality of our earnings and driving returns,” he added. “Today we are starting a new chapter in our company’s growth story and we are confident that, with our shared vision for an efficient supply chain and a value added customer offering, we lay a strong foundation for further success and growth,” he added. Founded in 1977, Unifeeder provides efficient and sustainable transport solutions for international container shipping lines between international and regional ports and shortsea services to cargo owners with fully multimodal door-to-door solutions, combining seaborne transportation with road and/or rail.